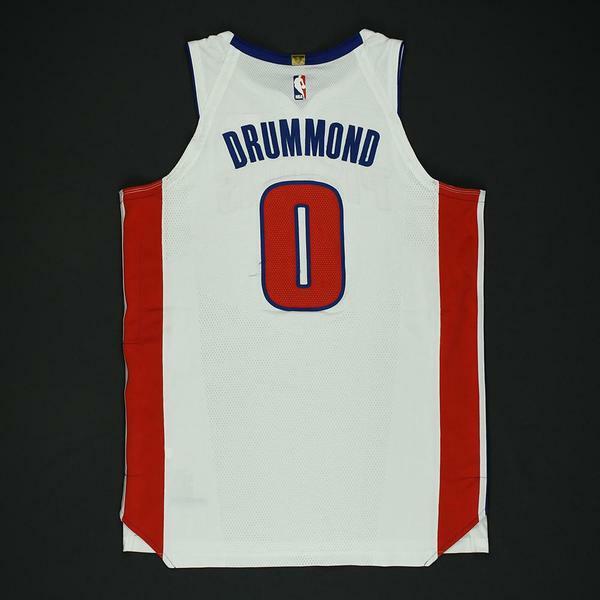 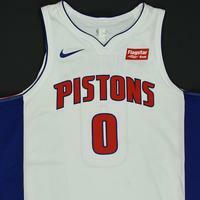 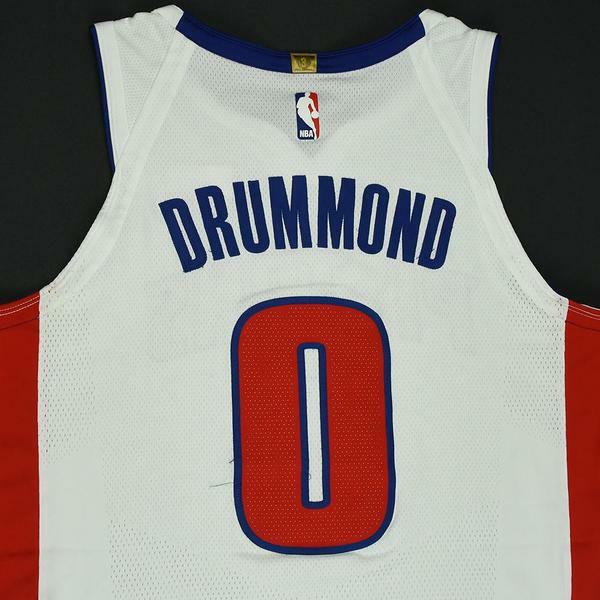 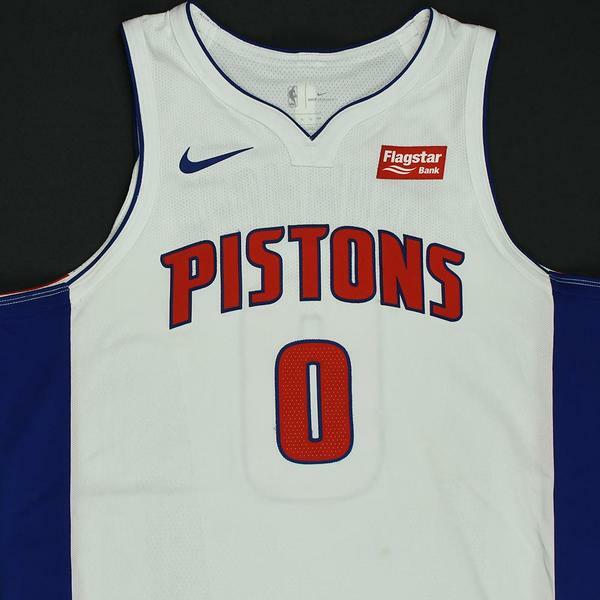 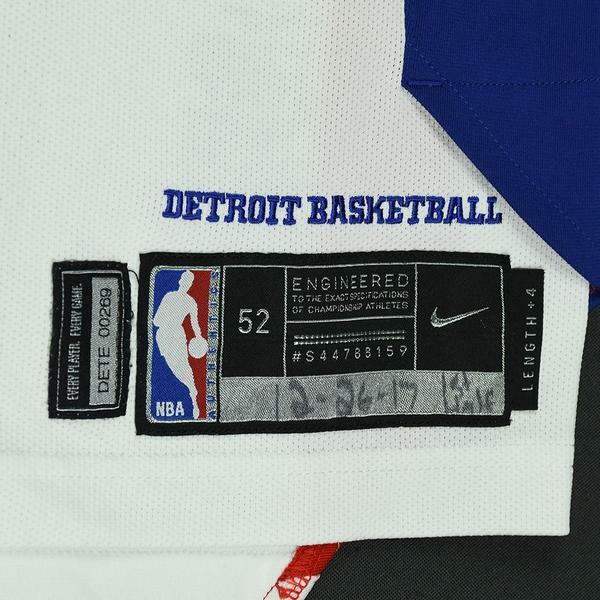 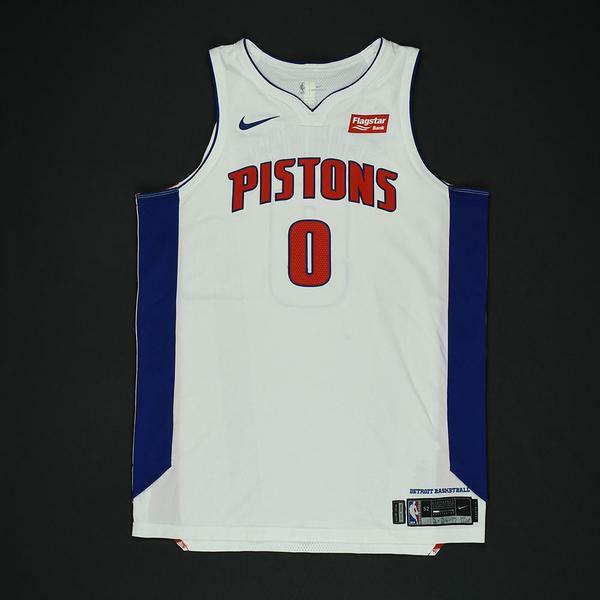 This is 1 of 2 jerseys that Drummond wore during the Pistons' 107-83 victory over the Indiana Pacers on December 26, 2017 at Little Caesars Arena in Detroit, MI. 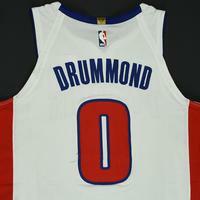 He played 33 minutes and registered 21 points with 3 assists, 18 rebounds and 1 steal.
"" 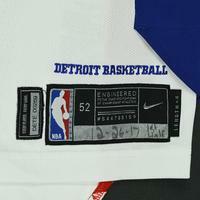 has been handwritten on the jocktag.